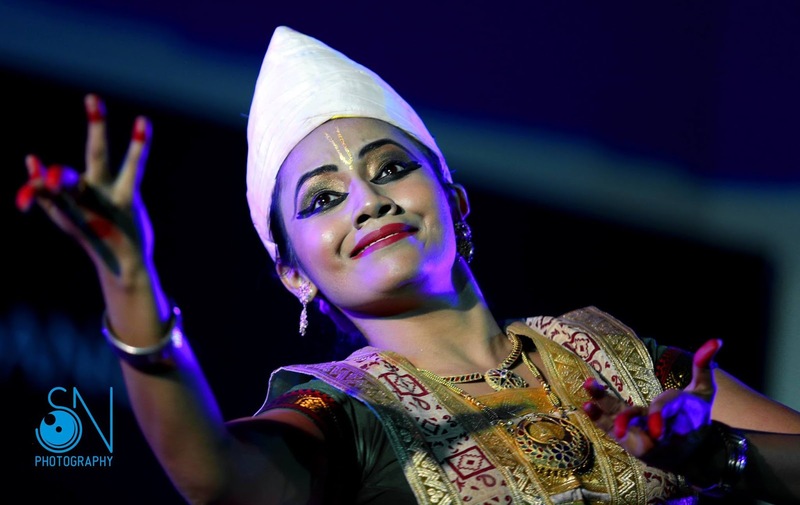 She has been an active performer since 2001, presenting Sattriya in its solo form. Anwesa has also worked on many choreographic presentations of her own under the supervision of her mentor. She has performed extensively across India and also aborad, appearing at many prestigious dance festivals. She is an ‘A’ grade artist in Sattriya dance of Doordarshan and an empanelled artist of the Indian Council for Cultural Relations (ICCR), India International Rural Cultural Centre (IRCEN). Currently, she is pursuing her Ph.D. programme in Performing Arts and Oral Tradition from the University of Delhi under the guidance of eminent folklorist, Prof. P.C Pattanaik. She has thus carved a space in the Sattriya Dance world with her understandings, research, interpretations and outstanding performances drawing applause and appreciation from both the media and the art cognoscenti and established an unfailing record of excellence in her performance career. "I perceive the world and its cosmos through dance and …and share with you the positive energy of Bhakti philosophy radiating from the glorious 500 years old tradition"- as the dancer says. She also presented research papers in National and International Seminars and has given lecture demonstrations on variegated dimensions of Sattriya art and culture, with ICCR, SPICMACAY, IRCEN, Sahitya Akademi and also with other prestigious organizations in various places of the country and abroad. She is invited for workshops to teach and interact with students in different parts of the country. She also contributes articles and research papers in monthly journal likePrantik etc. and Newspaper dailies like The Assam Tribune and Aamar Asamfeaturing music and dance traditions of Assam. Anwesa is the Jt. Secretary and Festival Director of KALPA , A Society for Promotion of Literature Art, Culture and Social Harmony and coordinatesPragjyoti International Dance Festival, a Festival of Young Classical Dancers in Guwahati. Since 4 years she has been conducting and directing this International Dance Festival which has earned national and international accolades. As a part of the festival, symposia, workshops, exhibitions, open dance forums and seminars are also being organized which in a way have contributed towards a better understanding between India and the Asia-Pacific regions in the soils of Assamextending thereby the ideals of peace and harmony through the aesthetics of Indian heritage. With Kalpa, Anwesa has tried to reach out to the young minds and share with them an exchange of ideas through the medium of cultural expressions. Sattriya (Assamese: সত্ৰীয়া), or Sattriya Nritya, is a major Indian classical dance. It is a dance-drama performance art with origins in the Krishna-centered Vaishnavism monasteries ofAssam, and attributed to the 15th century Bhakti movementscholar and saint named Srimanta Sankardev. One-act plays of Sattriya are called Ankiya Nat, which combine the aesthetic and the religious through a ballad, dance and drama. The plays are usually performed in the dance community halls (namghar) of monastery temples (sattras).The themes played relate to Krishna and Radha, sometimes other Vishnu avatars such as Rama and Sita.Recognized in 2000 as a classical dance by Sangeet Natak Akademi of India, modern Sattriya explores many themes and plays, and its performances staged worldwide. Sattriya is a classical dance of India, a classification that traces its roots to ancient drama and music texts of India, particularly the Natya Shastra. [The costume of Sattriya dance is primarily of two types: the male costume comprising the dhoti and chadar and the paguri ( turban) and the female costume comprising the ghuri, chadarand kanchi (waist cloth). A key musical instrument that accompanies a Sattriya performance are khols (two faced, asymmetrical drum quite different from the rest of India) played with fingers. The special shape and materials of construction – clay, wood, leather, rice dough, iron filings, rope straps – of Sattriya khol produces a high pitch with the right side (Daina), while producing a deep bass sound on the left (Bewa). The character specific different styles of Sattriya have their own costume variations, and focus on the various life stages and activities of Radha, Krishna and the gopis.